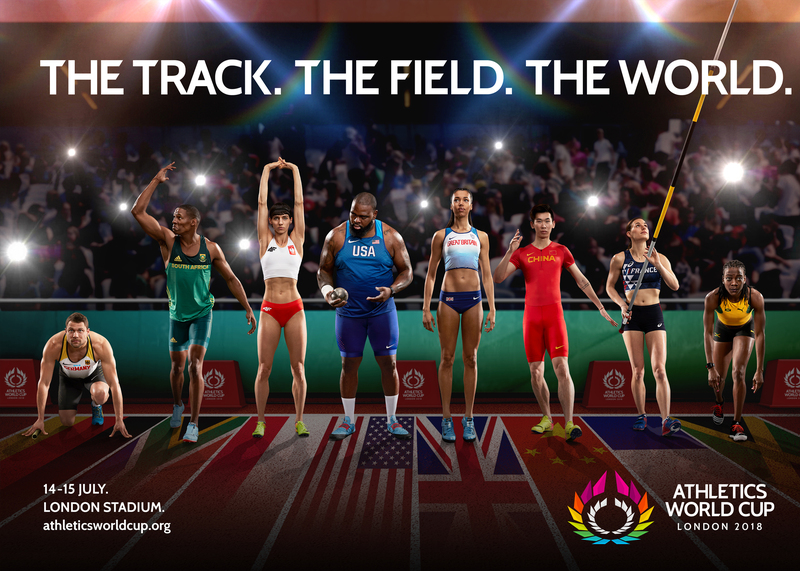 Following the success of the World Athletics Championships in 2017, the IAAF and British Athletics were looking to maintain the momentum of high profile athletics with a brand new team event - the Athletics World Cup London 2018. We wanted to celebrate this new event by bringing the tradition of Ancient Greek amphitheatre to the twenty-first century, with modern angular shapes and bold summer colour palettes, which encapsulate the essence of the competition. Eight fronds on each side represent the eight lanes, eight nations, eight teams, setting this team competition apart from other individual events on the international athletics circuit. The Track. The Field. The World.